Back pain? Feel like something is trapped? Is your pain worse in certain positions? Are you very stiff first thing in the morning? Dull, tooth-achey back pain throughout the day? Back pain is as individual as you are and happens for a variety of reasons. Back pain is the main reason that people seek out Chiropractors and we are experts in diagnosing the cause as well as treating the symptoms. Manual therapy in combination with exercise is a proven and recommended approach for treating back pain as specified by NICE (National Institute for Health and Care Excellence). Chiropractors use precise manipulation to realign the spine, joints and muscles. We also give each patient specific advice on appropriate exercise to help speed up recovery and maintain spinal alignment. We regularly receive GP referrals for back pain and have a proven track record of helping hundreds of people recover from this very common complaint. Chiropractic, Massage, Osteopathy, Acupuncture and Rehabilitation, all under one roof. We advise on the care, you choose the treatment. This is why many people feel that pain killers simply mask the problem, rather than fix it. A multi-treatment approach to relieving back pain has often has the best success rate, which is why patients often benefit from our use of massage or acupuncture, as well as manipulation and rehabilitation to return strength to the area when the pain has reduced. It costs no extra to include acupuncture or rehabilitation within normal treatment, so please ask your Chiropractor which approach is likely to give the most benefits. Self Help Guide-When to use Ice or heat? As a pain reliever, ice works really well. It temporarily blocks pain signals but much more importantly, it helps to reduce swelling. Several times a day, place an icepack wrapped in a towel on the painful area for up to 20 minutes. Alternatively, you can use a bag of frozen peas. During the first few days of home treatment, apply the icepack as often as necessary. Later, you may still want to use ice after exercise or any physical treatment or activity. Heat works best to relieve pain when the majority of symptoms are either long standing OR muscular If heat only provides a very temporary relief, you are likely to be suffering from a joint sprain rather than a muscular strain. Most people tend to use a hot water bottle, but the ice / heat packs that are now for sale can be used in the freezer or microwave. Leave it on for up to 20 minutes. You can repeat this three or four times a day for several days. 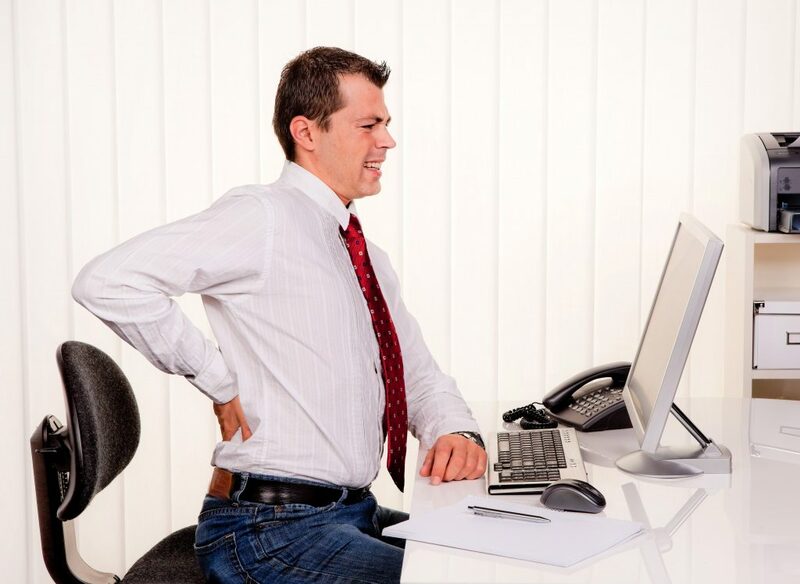 Your chiropractor will also give advice on ergonomics, exercise, and proper body mechanics to prevent back pain. Chiropractors often give their patients stretching and strengthening exercises to do, as lengthening and strengthening various muscle groups help keep the spine in proper alignment.